GUILDERLAND – Barbara A. Coogan, 79, of Guilderland, passed away peacefully at home, surrounded by her loving family on Sunday, October 25, 2015. A lifelong resident of Guilderland, Barbara was the daughter of the late Neil D. and Anna Childs of McKownville. Barb graduated from Guilderland High School in the late fifties and later went back to her alma mater where she worked for 30 years as a Teacher’s Aide until her retirement in 2011. 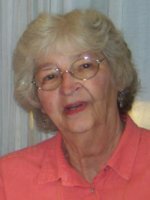 Barbara loved her community and contributed countless hours as a Girl Scout leader, a Little League coach, and past President of BPOE Elks Lodge #2480 Ladies Auxiliary. For years Barbara volunteered at the election poles and was a candidate for Albany County Legislature and Receiver of Taxes for the Town of Guilderland. She was also an active member of Christ the King Parish in Westmere in her many roles as Choir member, Officer of Columbiettes and The Altar Rosary Society. Barbara was also a member of the Parish Council. In all aspects of her life, Barbara brought a fun-loving, energetic spirit to everything she did. Barbara is survived by her husband James E. Coogan; her children, Patricia (James) Huntington, Michael Coogan and Colleen (Brian) Jennings; her grandchildren Matthew (Jacklyn), Daniel and Andrew Huntington, Michael Jr., Justin and Brendan Coogan, and Kerri and William Jennings; her sister, Virginia Collins, and her brother Joseph Childs; she is predeceased by her brothers Neil and William Childs, her sister in law Sally Childs(Neil), sister in law, Rita Childs (William), her brother in law Donald Collins (Virginia), and her sister in law, Noreen Childs (Joseph). Barbara is also survived by several nieces and nephews. The family would like to thank Christ the King Parish for their support and the Hospice staff for their outstanding care and compassion. In lieu of flowers the family suggests memorial contributions to The Community Hospice, 295 Valley View Blvd, Rensselaer, NY 12144. Funeral services will be held at Hans Funeral Home, 1088 Western Ave, Albany, Friday at 9:00AM, and from there to Christ the King Church, Sumpter Ave, Guilderland, at 10:00am. Relatives and friends are invited, and may call at the funeral home Thursday from 3-7 pm. The parish family of Christ the King Church will gather in the funeral home at 4:30 pm Thursday for a service of prayer and remembrance. All are welcome. Interment will be in Memory Gardens, Colonie. To leave a message of condolence for the family or obtain directions please visit www.HansFuneralHome.com. So sorry to hear about Barb’s passing. I had many grand memories of her when I lived in Westmere as Sandra Card. We had several dress up parties and she always nailed it. Once she came as Olive Oil and another time wore all black with a white stripe down the front—route20. I also remember all the apple pies she would make and freeze each fall. Barb was one of the nicest people. She always had time to talk to you and I always could count on her to tell it like it was. Barb always had a great sense of humor. She is one colleague I really missed when I retired from teaching. On behalf of the Wednesday night bowling league, we would like to pass on our deepest condolences to you and your family. I knew Barb for several years at FMS. She was a lovely, funny lady. I am so sorry to hear about Barbara’s passing, I had so many memories of her when I was a little girl at Brant Lake. I know God will take care of you, rest in peace.